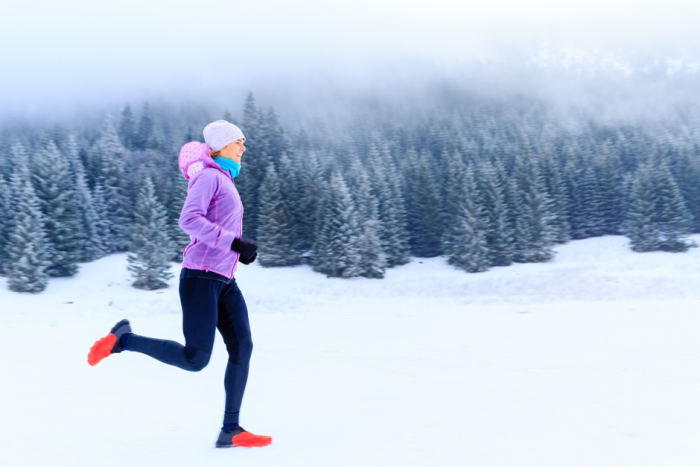 Shivering alone burns calories; so when you’re exercising in the icy climate, your body is pushing harder to regulate your temperature among the colder weather. There’s also several different types of fat in your body that the cold affects differently: white, brown and shades in between. White fat is unwanted body fat, while brown fat is metabolic tissue that burns calories. Scientists have found evidence that suggests that exposing our bodies to wintry temperatures can turn that troublesome white fat into brown. When you’re cold, your heart works harder to distribute blood around your body. As long as you’re a healthy, regular exerciser, this cardio endurance can make your heart stronger - giving your body better endurance levels when working out in the future. Think about a stroll in the park, with crisp air and fresh snowfall. It’s refreshing, exhilarating, and totally stress-reducing. Taking your workout into the elements, especially when the winter sun is shining, can help ward off seasonal affective disorder (SAD) which is a type of depression linked to the darker, colder months. As your body works to warm up, your endorphin levels start to raise, leaving you happier and lighter after your chilly workout. There’s no time like an icy winter’s day to get that warm-up technique nailed. 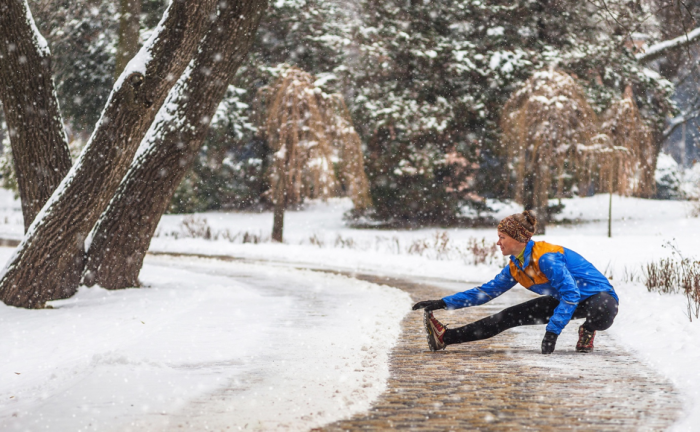 Properly warming up will help get the body loose and limber for the frosty elements, not only keeping you warm but preventing painful twists and sprains too. March on the spot, do some jumping jacks or hop for a few minutes to get your heart pumping blood to your muscles. Stay hydrated. Your body still sweats in lower climates; it’s just that that sweat is released faster into the chilly, dry air. Drink plenty of water before, during and after your wintry exercise routine - don’t wait until you’re thirsty. * Layer up. You’ll never run in that big winter jacket. Instead, wear loose, light layers to trap warmer air inside. Layer one should be made of a synthetic fabric to wick moisture away from your body; the next should be insulating (wool and fleeces are better than cotton at keeping heat in the body) and the top layer should be windproof and waterproof. Cover your extremities. Don’t let Jack Frost bite - cover your hands and ears with a hat and gloves. If your skin starts to feel sore or numb, particularly your nose and chin, it’s best to turn around.